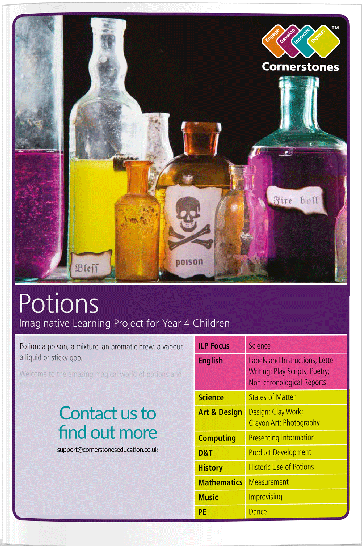 Potion: a poison, a mixture, an aromatic brew, a vapour, a liquid or sticky goo. Now scientists, beware! There are some powerful and deadly potions out there - dangerous, unpredictable or plain tragic (just ask Romeo and Juliet!). Also covered: Art & Design; Computing; D&T; History; Mathematics; Music; PE.